Finally I can become a member of the club! Thank you mosfetaus. flyinghell34, davehb2001 and mitadoc like this. flyinghell34, Spiki, davehb2001 and 1 others like this. My Speedy, I have never seen another one like it in person. Along with my 1st "real" watch purchase. And another pic that really doesn't do it justice. 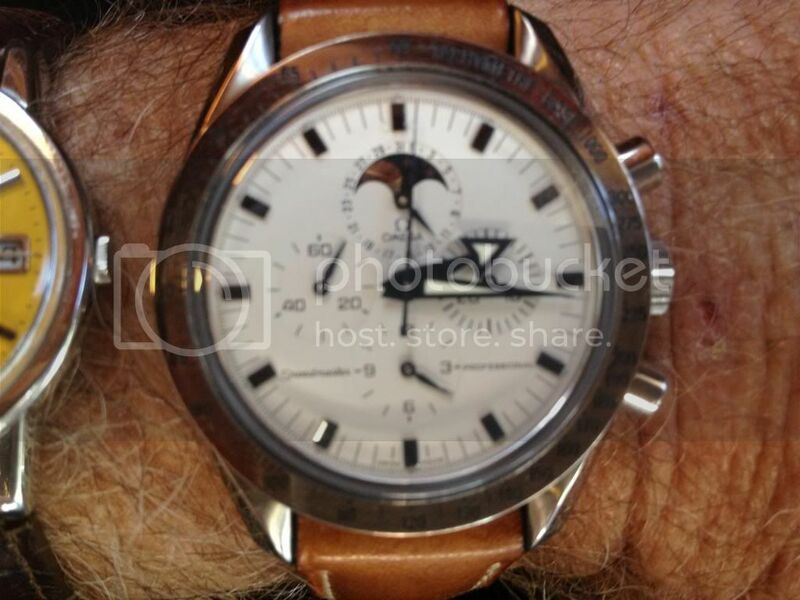 Maybe one day I'll do a glamour shot, it's actually blemish free other than some patina on the strap. megamustang, Black5 and davehb2001 like this. flyinghell34 and davehb2001 like this. 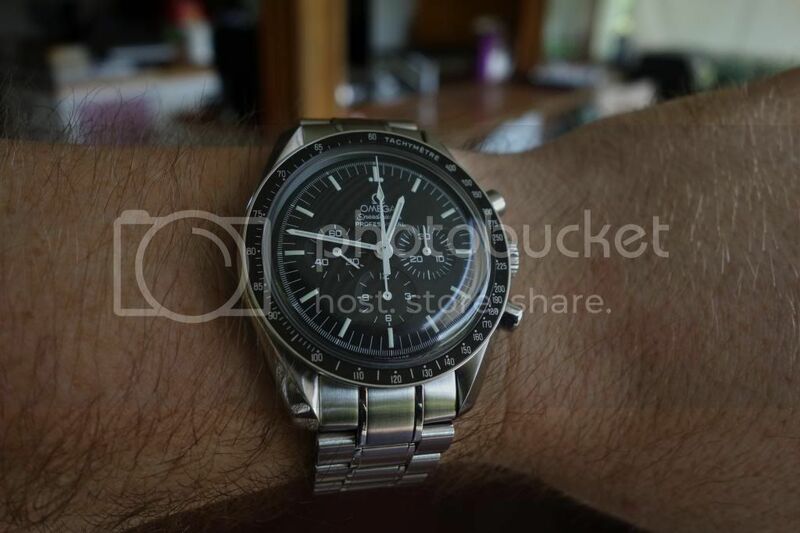 I started out with a Speedy reduced but since a year or so I havea Speedmaster 50th anniversary in my collection....It just don't know what it is about Speedy that I love so much but it's definitly my favorite watch! Last edited by ramses_02; January 14th, 2013 at 22:02. Fullers1845, flyinghell34 and kicker like this. flyinghell34, Fullers1845, mt1tdi and 1 others like this. Just swapped out my bracelet for the di-Modell rallye strap. Went for beige stitching. Don't want to get into the debate but for potential buyers, my reason for choosing the sapphire sandwich was greater clarity - the hesalite crystal made the dial look hazy to me.